2005 was our fifth season in the Med. We mellowed out a lot. It was a season of old friends, familiar places, quiet days and quieter nights. Our anchor did not slip. SV Perception continues to take good care of us. 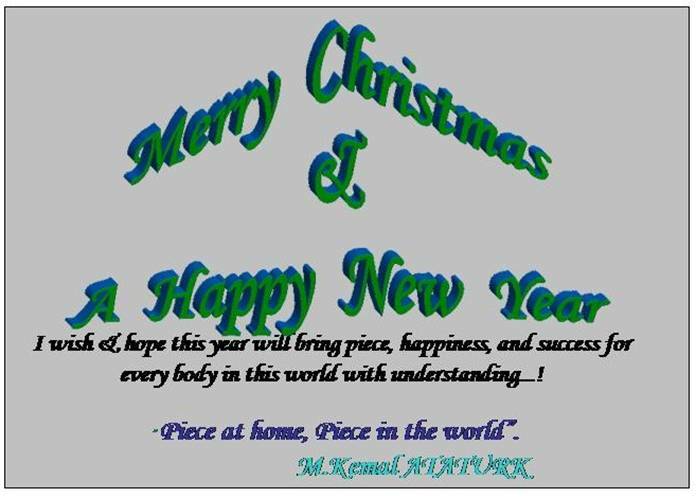 We send along a Christmas card from a man we know from Istanbul. He is a man, a child of God, a Turk, a Muslim. We find in our world peace, understanding, acceptance and tolerance. We see in the news, war, misunderstanding, hatred and intolerance. We Pray for Peace, at home and in the world.